It’s likely that at some point in your career you’ve had a stressful job, even if you love what you do. 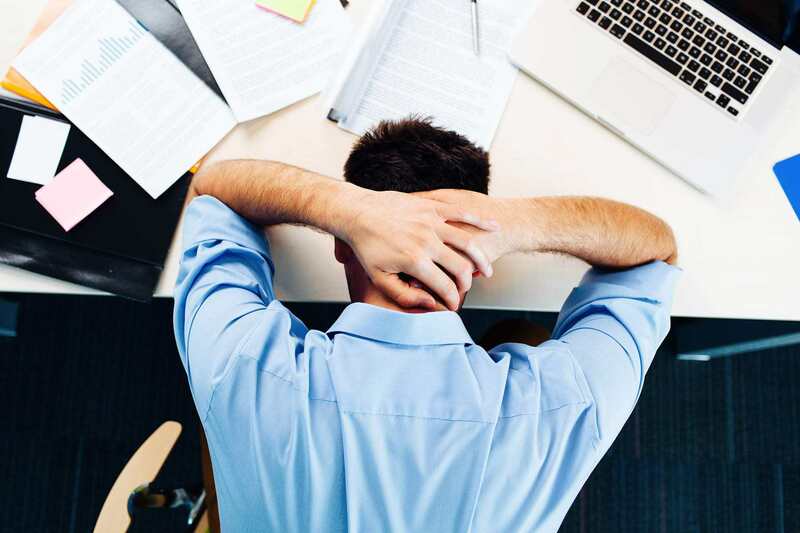 Workplace stress can be short term, like meeting a tight, important deadline, but if work stress becomes chronic and long term, something must be done. Outside of two very final, and not always feasible, options – quitting and finding a new job – there are thankfully some things that you can do to have a life at work that is a little bit less stressful. Engage in healthy responses: If you’re starting to feel stressed, get into some yoga or meditation (try something like this at your desk). Jump up from your desk and go for a walk, or start pounding the pavement after work to clear your thoughts. Establish boundaries: This one is easier said than done in some workplaces. If you find yourself checking your email after work, and responding to things that could (and should!) wait for the morning, consider removing the email account from your phone. Make it clear when you’re working and when you’re not – even just for your own benefit. Reach out: Talk to your colleagues, talk to your supervisor, talk to your Health and Safety Representative or HR representative. Be mindful of falling into a negative cycle with peers, and consider talking to friends to gain an objective outside perspective. Sleep: Getting a decent amount of sleep is invaluable, it influences every aspect of our waking lives. Keep to a routine, limit device time and avoid stimulating activity too close to bed time. Take control: Be proactive about your work and responsibilities. Can you schedule a review of your role with your manager? Are there other internal opportunities available that may be less stressful? Do you just need a holiday? Consider your options, you never know what could fix things. Learn to say no: Being over committed professionally will lead to stress, and it’s easy to fall into the trap of saying yes to everything to make other people happy. Even with your boss, if you can explain to your manager that another project will reduce the quality of your work, that may be the sign they need to reconsider your workload and discuss priorities. Remember that it’s okay to admit that things are too much. Review your situation objectively, consider your options, and think about the things that you can control and change about both your mindset and your work. You may be able to frame things more positively if you can see change on the horizon, so take care of your mind and body while you’re on the way there.